I think my inspiration to write a zombie novel started at around nine years old when an older lad, who lived next door, invited me over to watch Dawn of the Dead, and Zombie Flesh Eaters. I remember really enjoying them as they were very exciting and scary horror films. In my teens it was my mission to rent every horror film I could lay my hands on. I’ve always liked the end of the world/fight for survival storylines in those (Romero esque) types of films, although in my twenties it was rare to find a zombie film that was any good. A couple of years before I started Dead Beat I discovered zombie novels, and that ignited my interest again. I loved David Moody’s Autumn novels and Len Barnhart’s Reign… series. I read the original self-published Rise and Walk by Gregory Solis and Domain of the Dead by Iain McKinnon; and I think it was that novel that inspired me to have a go myself. I have since become friends with Iain, and he has given me a great deal of support and advice. He also wrote and produced a rather fine trailer for Dead Beat. What is your most notable work? My writing background is a little thin to say the least. I’d written various short stories in my teens and early twenties, but never seriously tried to have them published. Before Dead Beat I hadn’t written anything really for around ten years, but in the back of my mind I held onto the ambition to write a novel one day. As I entered my mid-thirties I had a bit of a now or never feeling and stopped putting it off. A small part of me thought I’d never get it finished, but I would sit down and write a thousand words five or six times a week. Six months later I had Dead Beat finished. I’m quite proud I managed to do that, squeezing it between shift work, study for a Law degree, family life and the various exams and tests I had to do to become a policeman in Australia. I have no immediate plans for a sequel to Dead Beat, although if I did I may set it in Europe. I’d want it to be a bit of an epic – an all out war! Alternatively, now I live in Australia I can’t help thinking there hasn’t been a great zombie novel set here. With the rugged outback, aboriginals and isolation I can’t help thinking there could be a really good zombie novel here somewhere. My next project is a zombie anthology with my publisher, Wild Wolf. We have lots of great ‘names’ aboard, including David Dunwoody, Joe McKinney, Iain McKinnon, Derek Gunn, Calvin Miller, Wayne Simmons, Shaun Jeffrey and Bowie V Ibarra to name a few. It’s ‘zombie holiday’ themed. I’ve also started my next novel, Outback Dogs, which will be a modern werewolf story set in America and Australia. I don’t know when it will be out, but I hope to finish it this year. Who do you admire in the horror world? James Herbert from my youth – a great British writer if ever there was one. If I had to choose one horror writer from recent times, it would be Iain McKinnon, both for his talent as a writer, and for being an inspiration to me to get down to some proper writing. He’s an incredibly helpful, encouraging person, and I’ve lost track of all the favours he’s done me. Do you prefer all out gore or psychological chills? I definitely prefer the more subtle psychological side of things. 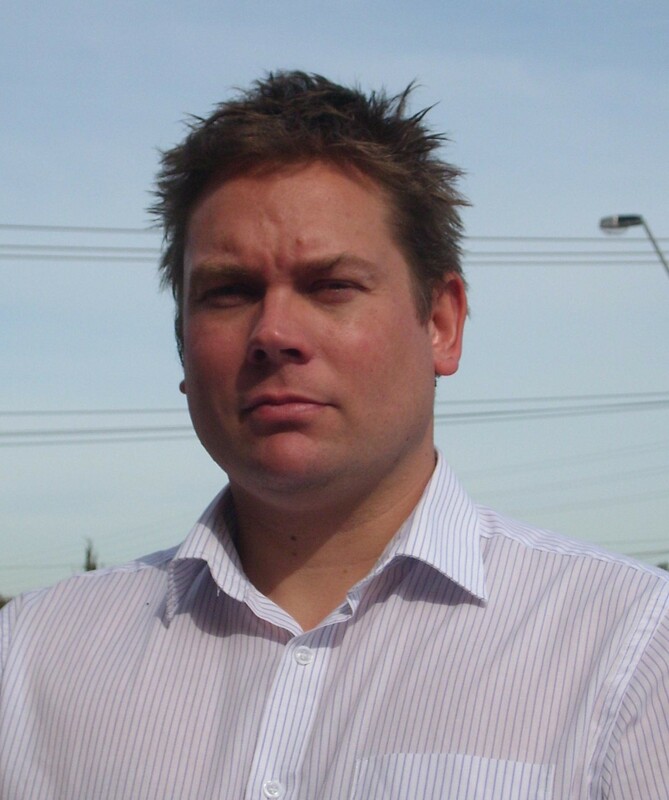 Being a cop at heart – well sort of – I like a good crime novel as much as a horror novel. For example, I just finished Simon Beckett’s The Calling of the Grave which I thought was terrific. That’s not to say I don’t enjoy a bit of gore too; Jack Kilborn’s Afraid was an amazing tense read. 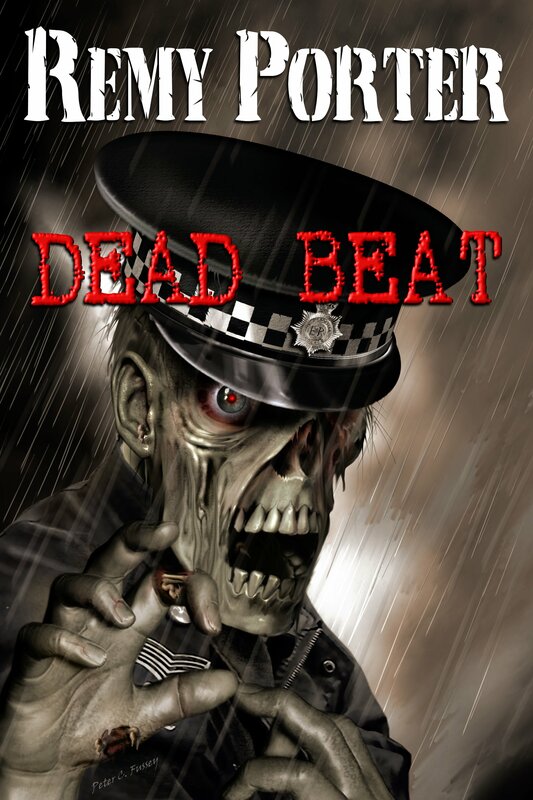 Well just focusing on Dead Beat, I think it would appeal to anyone who fancies a British take on the zombie genre. I worked hard to create a rounded set of characters, and a rich vein of dark humour. There’s also enough action and gore to keep horror fans happy. And for Kindle owners, it’s currently a bargain 71p on Amazon UK. I would recommend a book that will be out this summer – Iain McKinnon’s sequel to Domain of the Dead, Remains of the Dead. I was lucky enough to be given a draft of this to read, and I can confirm it’s an absolute blast. I’ve certainly never read such an action-packed, well-crafted zombie novel before. It blew my socks off, and I think it will be a smash hit!